Some dentists only treat children. Others prefer only to treat adults. At Winneconne Family Dentistry, Dr. Ryan and our staff offer true general dentistry, providing a massive range of treatments for patients of EVERY age. We understand that patients have different dental needs at various points in their life. Kids might require sealants and fluoride treatments to protect their young teeth. Adults may need cosmetic services for a great smile in professional settings. Seniors could often benefit from tooth replacement procedures. We offer all these treatments and more. 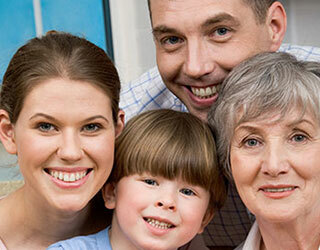 Winneconne Family Dentistry is the dental office for the entire family, no matter the generation. We are dedicated to caring for every patient, from infants to those over 100. Call us at (920) 582-4427 for any dental need, and be sure to inquire about our new patient $99 promotion.